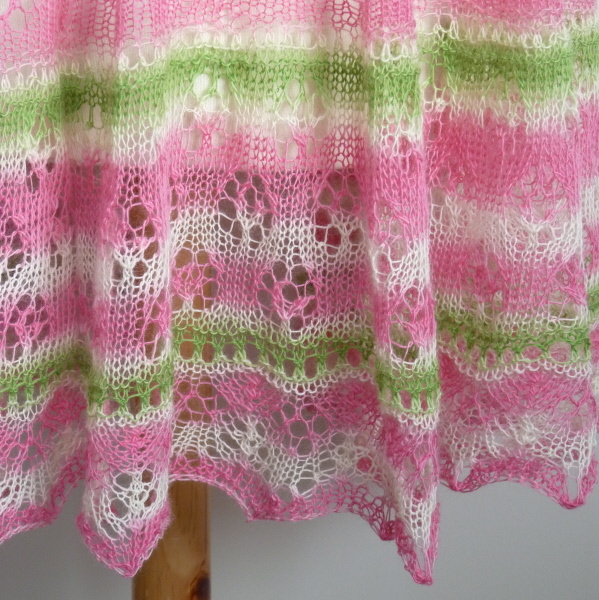 As some of you know, I designed a pi shawl for the EZasPi yahoo group, with the idea of casting on on Pi Day – 14th March doesn’t mean much in the way the UK writes dates, but in the US it is 3.14! Several folk wanted a pi vest, so I decided that I would offer this as well, and also a split pi. This has no ‘middle’ and opens down the front. 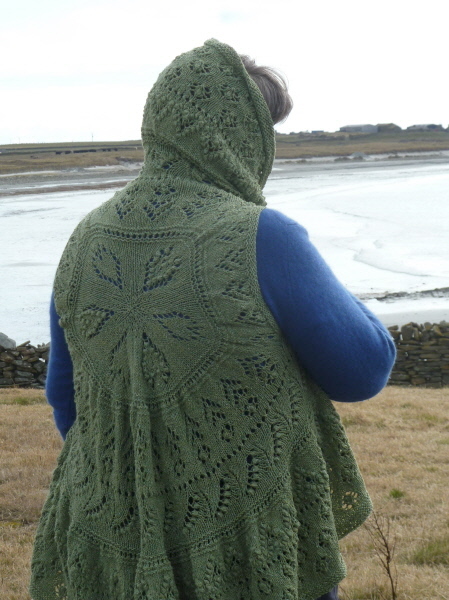 I decided to use Estonian patterns, giving folk the choice of nupps or not. 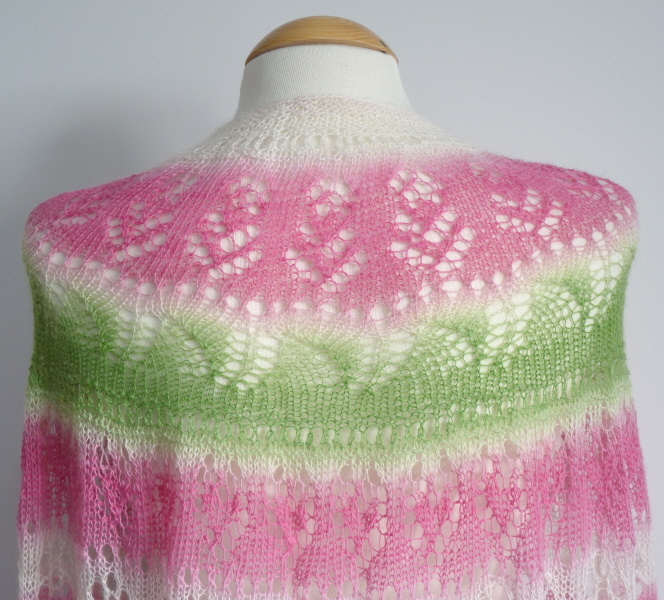 All the patterns come from Estonian pattern books, and the names I used are the ones in the books. I made a vest for myself. 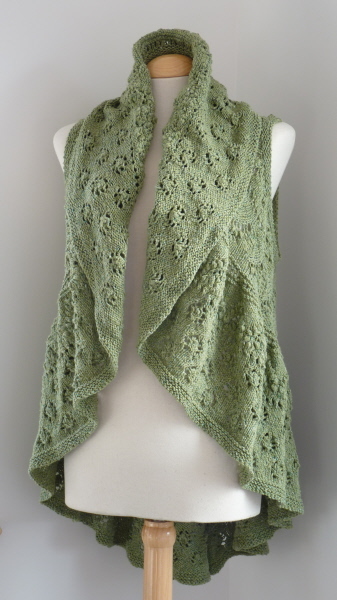 It is in DK yarn, and uses quite a few nupps. 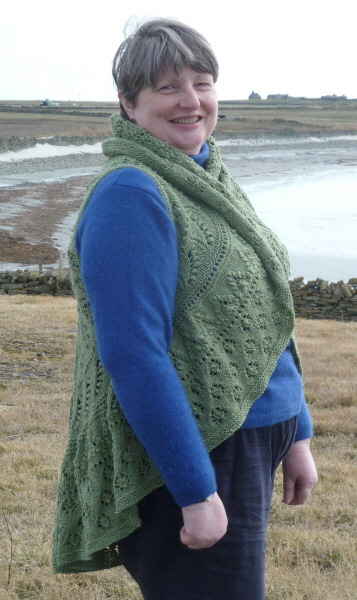 I made this on North Ronaldsay, and Jane was with me when I finished it, so she kindly modelled it! The arm holes can be made at any time – instructions are given about how to choose where – and the collar can be reversed if required. Again insructions are given. 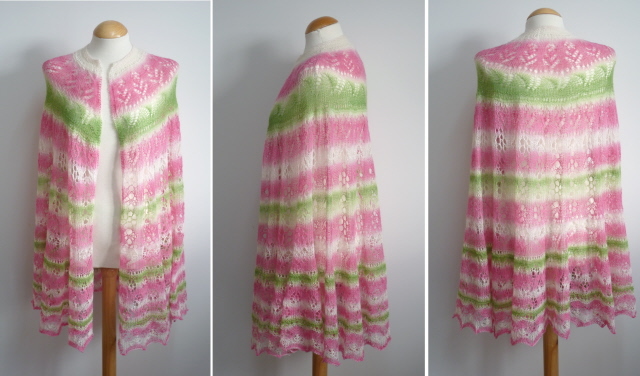 The split shawl I made is in lace weight, and does not have nupps. 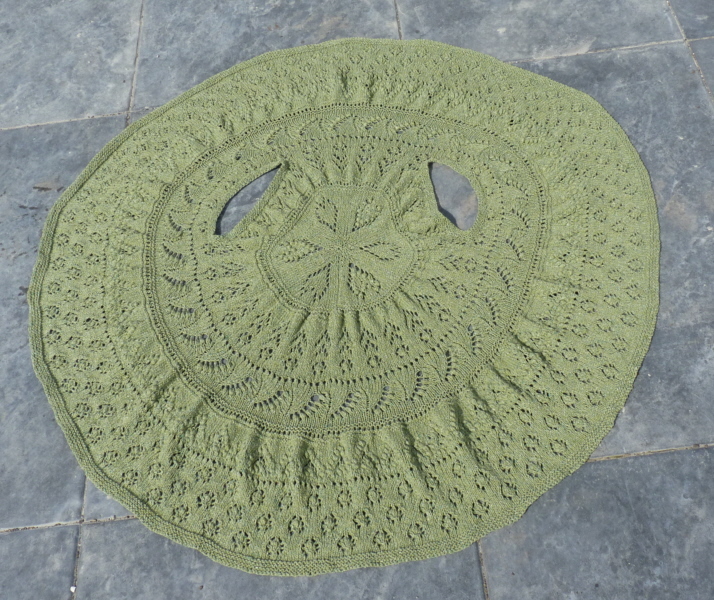 I didn’t make an ordinary pi myself, but various people in the group have made them, and some have photos on Ravelry. 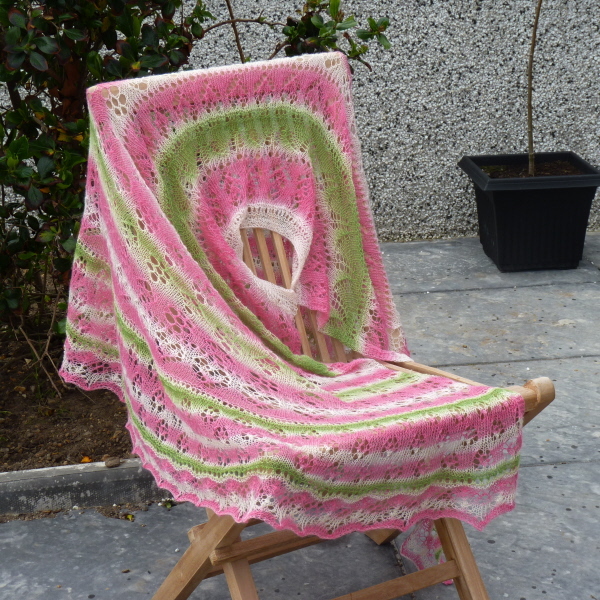 The patterns for all three items are available as an ebook on Ravelry, price 10$. 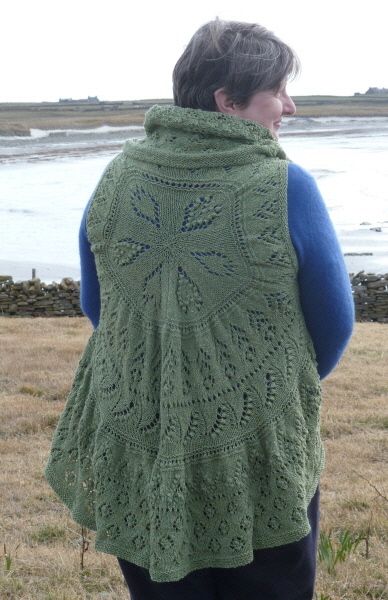 You do not have to be a member of Ravelry to buy from the store. (I will be adding it to my Etsy store soon.) Just click the button below to buy! !